The demand for Descendance around the world and throughout Australia saw it evolve into two companies in 2002. One company was based in Sydney, and one permanent ensemble lived and performed daily in Alice Springs (Central Australia) at The Heavitree Resort. The Alice Springs “Red Centre Dreaming Experience” had an astounding run of eight years before closing in 2009; the show attracted thousands of visitors from all over the world. 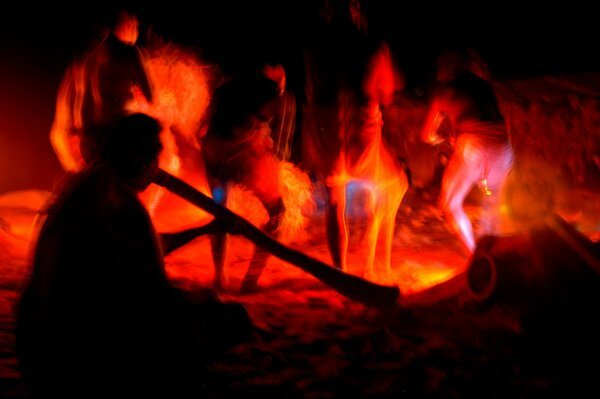 In 2003 Descendance were presented with a Brolga award in tourism for their outstanding performances and cultural input into Alice Springs, the performances in Alice Springs were done with the consent of the Arente Tribe the traditional land owners of the area.